Silkie Bantam Chickens probably originated in eastern Asia (China) but now are kept domestically worldwide. Silkie Bantam Chickens inhabit warm, dry places with low perches and nesting boxes. Silkie Bantam Chickens incubate their eggs for 22 days. Silkie Bantam Chickens are known for their gentle, docile nature, and they are dependable egg layers. 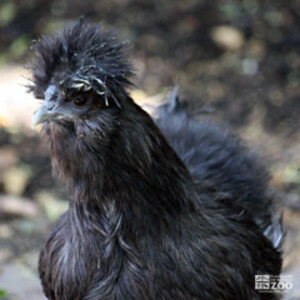 Some breeders keep silkies to help hatch extra eggs, since they will adopt almost any kind of poultry or game fowl. Silkies lay medium-sized eggs, ranging in color from white to light brown. Males help raise the chicks.